FGC integrates the groove sensibility developed by funk/jazz crossover artists like Herbie Hancock and Medeski, Martin, and Wood, with thoughtful, tight song writing that takes cues from the likes of Steely Dan and the Beatles. The result? 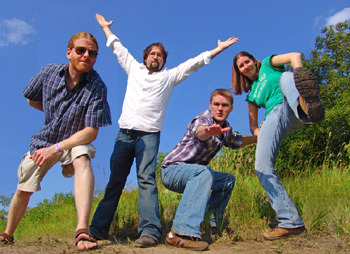 An infectious, fresh sound the band calls “groove informed jazz/rock”. 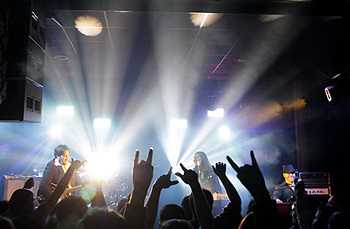 2008 marked the release of not one, but two FGC records – the band’s first official live album, Live in Chicago (February), and the band’s third studio record, Models and Metrics (October). Live in Chicagocaptures the band where they are most comfortable, on stage in front of a live audience, and offers listeners a taste of the extraordinary experience fans have been enjoying at FGC performances for several years now. Models and Metrics represents the strongest statement FGC has made with a record to date. The album delivers high-energy rockers, touching moments of introspection, extraordinarily tight ensemble playing, and profoundly engaging twists and turns, both musically and lyrically.